In Kathmandu – off to the Mountains Rock Star Style!!! Today I metup with the fantastic people from Peak Promotion and I learned that we are leaving for Lukla tomorrow at 6:30 AM – not the 6th of November as I had thought. So everything had to be finalized in one day in sted of 4 days – meaning that today I managed to get a haircut, a nepali phone number, handle all the financial stuff, get copies of documents, purchase a bit of gear, get a one hour massage by a blind person (I am a returning happy customer at seing hand, Kathmandu – can only recommend their massages!! ), bought all the medicine, and met up with my guide and planned the equipment. And finished the evening with a nice dinner with a friend here, and of course got to eat a slace of the amazing zuricake!! More or less one year after leaving Nepal, it is time to return for new adventures. Last year when I was there – standing on the top of Kala Patthar, 5545m I promised myself that I would return, and attempt to climb Imje Tse, 6189m. And now it is time to keep that promise to myself! For the past year I have been training intensely for this adventure – including two extreme months in a Muay Thai training camp in Thailand (the thaiboxing was not so much the aim, as where the cardio benefits – the Nepali are very friendly people, and I don’t think any selfdefence skills will be needed during this adventure). Strangely enough the stay in the Muay Thai training camp, introduced me to the crossfit training style (thank you Luke Richmond!! ), and I ended up falling completely in love with this way of training – spending all my time in Thailand training Crossfit, and have been doing the same ever since I returned to Denmark in April. I return to Nepal 15kgs lighter, and defiantly the strongest/fittest ever in my life. I feel blessed for getting this opportunity, and I set out on this journey with great humility. I am very aware of the fact that there are no guarantees in the mountains, but I hope Imjse Tse will be hospitable and bless me with a safe passage to the summit, from where you can stare some of the tallest mountains in the world into the eyes: Lhotse (8,501m), Makalu (8475m) and Nuptse (7,879m) . 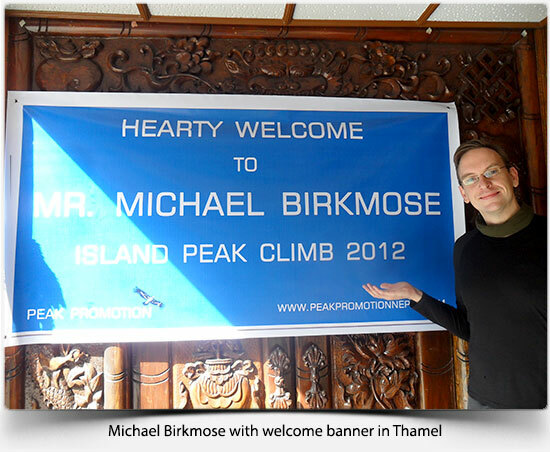 Unfortunatly all the people I met during my last stay in Nepal, who had attempted to summit Imjse Tse did not succeed – either due to falling ill, or because the weather did not permit for a safe climb. I am hoping my story will be a different one, but I have set my expectations accordingly. No matter what, the journey towards the return to Nepal has been a great experience on its own. 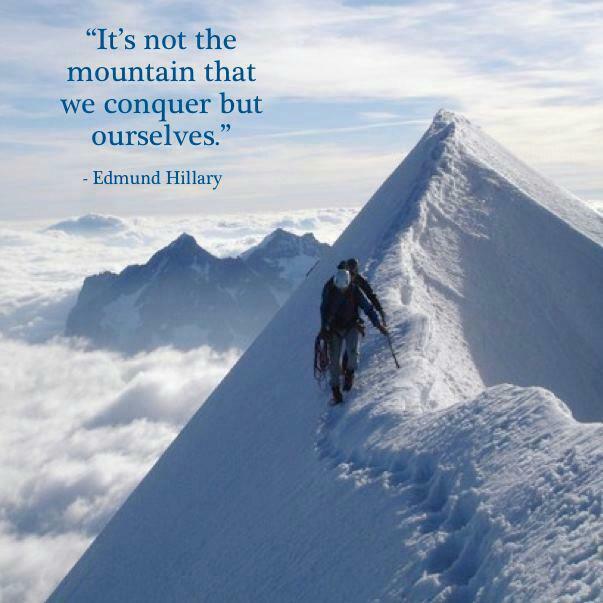 As Edmund Hillary (first person to summit Mt. Everest, together with sherpa Tenzing Norgay) said: “It is not the mountain we conquer but ourselves.”. Those many hours spend doing crazy exercises in my local crossfit box has thought me a lot about myself, and pushed my tolerance for pain considerably (and I throw a mean farmers walk now 😉 ). I hope this will serve me well in an environment with less than 50% of the oxygen compared to what we are able to breathe here at sea level – and in a slightly colder climate ;). I think it goes without saying that I am excited to be back in Nepal, a country I am very fond of. To be able to walk in the Himalayas once again, and enjoy the spectacular views, and to enjoy lots of large servings of hearty Daal Bhat! And to be able to meet the Nepali hospitality once again!